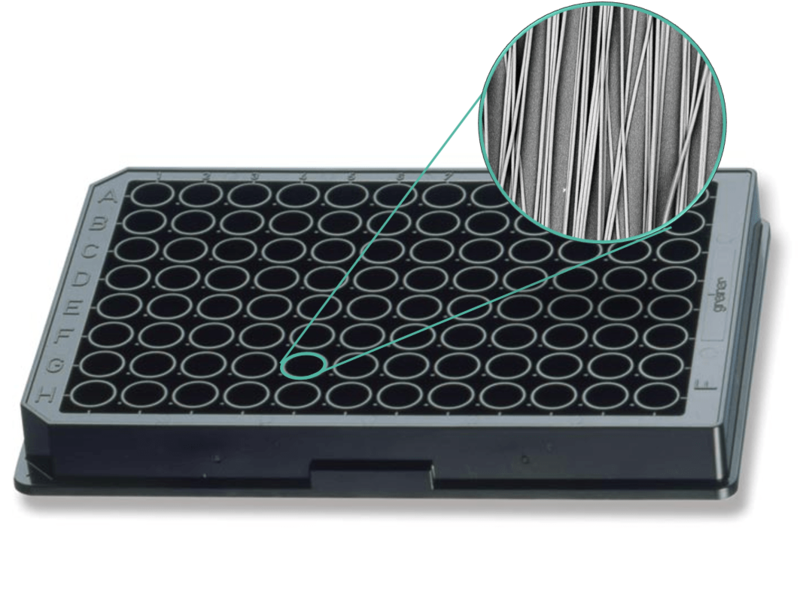 The Mimetix® Aligned 96-well plate is an easy to use tool for the culture of cells which are influenced by topographical features. 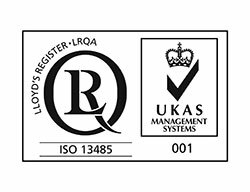 The Mimetix aligned fibres are fixed into a standard 96-well plate frame without the use of glue. 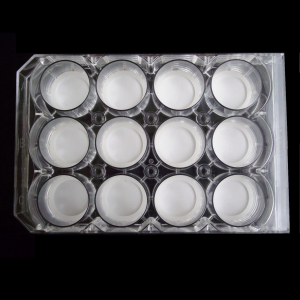 The Mimetix® Aligned 96-well plate is an easy to use tool for the culture of cells which are influenced by topographical features. The Mimetix aligned fibres are welded into a standard 96-well plate frame without the use of glue. They are fixed at the well edges but loose inside wells allowing cells to wrap around them fibres. Aligned microfibres provide a physical structure for the 3D culture of cell from tissues such as the central nervous system, skeletal muscle and heart, where cellular orientation has been shown to play a significant role in the respective tissue functions, and aims to induce these functions in vitro. Minimal protocol adaption required to switch from 2D to 3D. 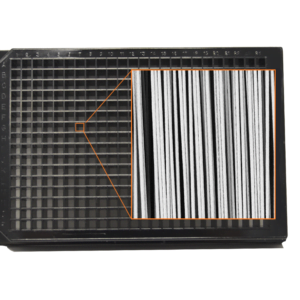 Compatible with industry-standard automated handling and imaging equipment. 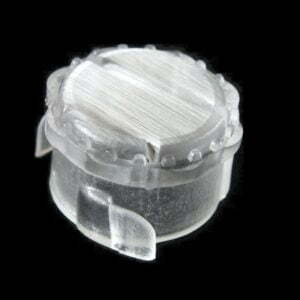 Supplied gamma- or e-beam- irradiated in individually-sealed plastic wrapping. Scaffolds can be coated with materials to facilitate cell adhesion in low serum conditions. 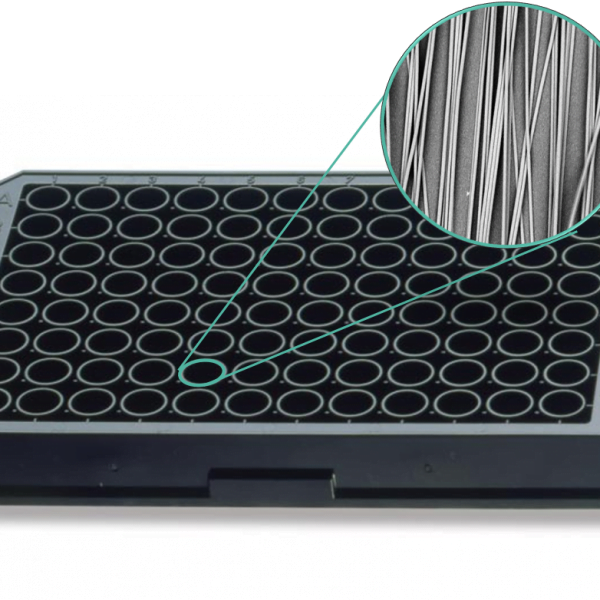 Cells can be removed from the Mimetix® scaffold by trypsinisation and gentle agitation. 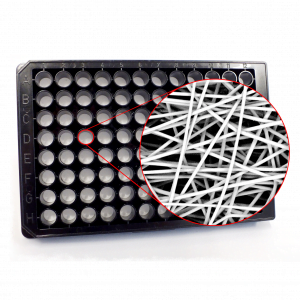 Protocols for cell seeding, assays, and imaging are available in our Technical Support section.